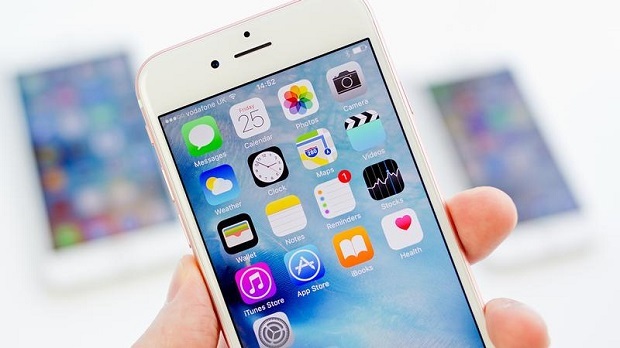 Welcome to another instalment of our troubleshooting series where we aim to help our readers who own the #Apple #iPhone6S fix the issues that they are experiencing with their phone. Today we will tackle several power related problems that have been sent to us by our readers. Specifically, we will tackle the iPhone 6S can’t get past the Apple logo Issue & other related problems. We will take a look at each of these problems and provide the best troubleshooting steps that needs to be done. Problem: i was wondering how would i fix my phone. it won’t get past the apple logo while turning on. after about a minute of the apple logo just showing, my screen just blacks out on me. i’ve tried turning it on regularly and i didn’t work. i also tried the hard reset and that also didn’t work. Solution: If the phone is stuck displaying the Apple logo and you have already tried doing a hard reset then what you should do right now is to reinstall the operating system of the phone. Follow the steps listed below to perform this procedure. Check that your computer has the latest version of iTunes installed. Connect your phone to your computer ( make sure that iTunes is closed when doing this). Open iTunes. Do a force restart. Press and hold the Sleep/Wake and Home buttons at the same time. Don’t release the buttons when you see the Apple logo. Keep holding both buttons until you see the recovery mode screen. When the option to Restore or Update appears choose the Update option. iTunes will reinstall the software. Wait while iTunes downloads the software for your device. If the download takes more than 15 minutes and your device exits recovery mode, let the download finish, then repeat these steps. Once the update is done proceed with setting up your device. Problem: Hello, yesterday I took a shower and got back to my to find out my 6s wasn’t charging. So I tested another phone and it worked (I tried 2 other chargers). Also when I restart the phone it flashes a random color. Once it went into a boot cycle and it took an hour to get out of. Please reply! Solution: What you will want to do first in this case is to make sure that the charging port of the phone is clear of any dirt or debris. Try cleaning the charging port of the phone using a can of compressed air. If the phone still does not charge then try using a different lightning cord and wall charger. You should also try force restarting the phone by pressing and holding both the Sleep/Wake and Home buttons for at least ten seconds, until you see the Apple logo. Once this is done check if the issue still occurs. If it still does not charge then you should bring your phone to a service center and have it checked. Problem: The screen is black, no mather what I do. Tried charging, connecting to mac, changed cable, still black. It shows in my mac/ iTunes, but I’m told to enter my lock-code. The screen is still black, and I´m not able to touch anything. Tried to change screen, but still the same. Solution: Try forcing your phone to restart by by pressing and holding both the Sleep/Wake and Home buttons for at least ten seconds, until you see the Apple logo. If the phone is unresponsive then let it charge for an hour. If after an hour there is still no response from your phone then you will need to bring it to a service center and have it checked. Solution: If you already tried to reset the phone which doesn’t fix the problem then this could already be caused by a faulty display assembly. You will need to bring the phone to a service center and have it checked. Problem: This morning I did it: I accidentally dropped my phone (iPhone 6S) in the toilet! I immediately picked it up and wiped off the water with a towel. Despite that it worked perfectly fine for a couple of minutes, before shutting off completely. I desperately tried to turn it back on, many times, but it just wouldn’t. About an hour later I was on the bus on my way to school and pressed the on/off button reaaally hard, and it worked! It turned on and I unlocked it and everything was fine – until it shut itself off again. I pressed the button hard again and it started, then shut off again and that kept on happening for a couple of minutes. Then, I turned in on a few minutes after and for some reason it didn’t shut off like before. I opened snapchat and something weird happened. The volume was fucked up. I had headphones in although no music was on, but it kept maxing the volume over and over. I tried to lower the volume several times, but every time it immediately went back to max, like there was a ghost finger pressing the higher volume button. It also kept taking photos and filming without me doing anything, when the snapchat camera was opened. I turned it off and just gave up for the rest of the bus trip. During the first class I had, it kept turning on and off, all by itself. When the class was over my phone was burning hot. I put it in my bag in my locker and just let it remain there during second class. When that class was over I picked up my phone, only to find that it refused to start. My guess is that it kept turning on and off during that class, until it charged out completely. Now, about 12 hours later I finally got my hands on a charger and put it in the first thing I did. It’s been charging for about 20 minutes, but nothing is happening. I’ve tried to turn it on, but it won’t. When I have off sound, nothing happens when pressing the button. With sound on it randomly does that little “sound on buzzing”, approx every 5th time pressing either on/off button or home button. Also sometimes without me touching it. As I am 15 years old, and this phone is quite new (got it about 6 weeks ago), I feel really scared to tell my parents that I dropped my phone in the toilet – and kind of fucked it up. It’s never happened before and I don’t think they would take it too well. Please help me. Solution: What’s happening right now is that water has entered the phone causing some components to short circuit. You should turn off your phone first then place it in a bag of rice for at least 48 hours. The rice will absorb the moisture inside the phone. Once this is done try to turn on the phone. If it does not turn on then try charging it then turn it on. If the above steps fail to fix the problem then you will need to bring the phone to a service center and have it checked. Problem: hi, i have an iphone 6s and currently have some issues with charging the phone. basically the phone will not charge while ever the screen is on, once the screen is off i check say every 10 mins and the battery will appear to be 1% higher than it previously, giving the impression that its charging very slowly whilst the screen is dormant or black. i can’t understand it to be the cable, the charger port or the battery itself as how would it charge when the phone’s screen is dark, surely if any of these had an issue it would be non responsive no matter the situation? i’ve cleaned the battery port of any fluff that was in there, and tried multiple cables and all have the same issue. i have tried a hard reset of the phone, to no prevail, and the last thing for me to try was to connect the phone to itunes to do a full reboot but the iphone will not even connect to the computer due to the device unable to be installed. i feel this might be my last option if there is a way to solve the issue of connection. i have also heard that this could all be down to a software error regarding the latest update of 10.2.1 but any information you could help me with would be most grateful. The best thing to do right now is to bring the phone to a service center and have it checked.